In our last post, we touched on how the barging industry came into existence, driven largely by circumstance and the actions of a few enterprising individuals. But even as the concept of barging grew around them, few could anticipate the kind of impact it would eventually have on European river travel. In an attempt to lure more travelers from North America, barges began to be acquired and refitted with amenities and luxuries previously not seen on the waterways of Europe. Gone were the days of shared bathroom and washroom facilities, replaced instead with staterooms that more closely resembled the finest luxury passenger liners of the day. Follow River Cruise Advisor on a barge cruise on French Country Waterways beginning April 25. Make it easy on yourself by subscribing to our email newsletter for updates when our barge cruise begins. As competition on the waterways grew and expanded, barge owners and operators began to think more creatively in terms of both interior fittings and itineraries. The result was barges that had definitive personalities and traits that operators hoped would attract more repeat guests. Details like exquisite woodworking or lounges that recalled the interiors of the Grand Salons of Paris or the extravagance of the Orient Express gradually replaced the more Spartan accommodations of years past. In an age where the internet and other forms of “instant” communication simply did not exist, barging owed its success largely to word-of-mouth. Small groups of friends would often charter a barge for a trip through France, returning to tell friends, family and co-workers about their experiences. Some of these acquaintances would become more intrigued and eventually book passage for themselves. The emergence of the jet age was instrumental to the success of barging, particularly for North Americans who relied on air travel to reach Europe in a timely manner. The time and expense of crossing the Atlantic by ship, then embarking on a multi-week barging experience was largely out of reach for many working-class people, and increasing competition on the transatlantic routes began to make airfare between North America and Europe affordable for a growing number of travelers. Even after the explosion of river cruising in the past two decades, barging still remains an immensely popular form of travel. In many ways, barging is the anti-river cruise, offering up an experience that is more old-world, intimate and subdued. 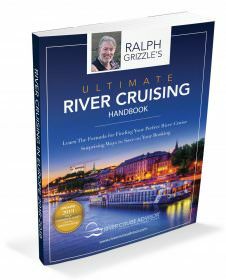 But river cruising itself owes much of its existence to the barging experience that captured the imagination of travelers nearly 50 years ago. 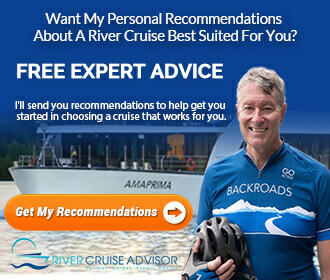 Without barging, it’s unlikely that river cruising would have had the mass “word of mouth” appeal that has allowed river cruise companies to create bigger and more elaborate ships than ever before, continually besting themselves each year in a quest to make river travel the premier experience along Europe’s waterways.